Home - Kauffman's Upholstery Inc. Welcome To Kauffman's Upholstery Inc.
Kauffman’s Upholstery Inc. is a custom upholstery manufacturer in the residential, commercial, and institutional markets. Our orders are custom made to architectural or interior designers’ specifications in the United States. 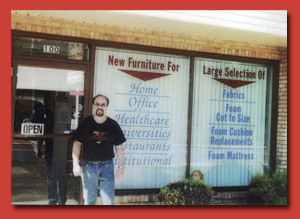 Kauffman’s Upholstery Inc. is known for quality with on time delivery and competitive pricing. 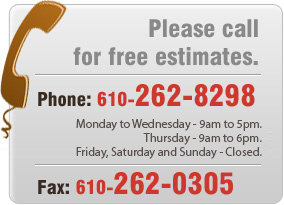 Our experienced professionals can come to your home or your business and provide free estimates for any of our services. 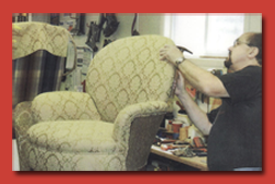 We offer very fair and competitive pricing on upholstery repairs. Kauffman’s Upholstery Inc. is proud to better serve our clients with our new informative website. You may reach us anytime using the Contact Page of our site to access our email link, phone, and fax numbers. Thank you for taking the time to stop by our new website. We look forward to serving you soon.